Dr. Worden was born in Tennessee, grew up in Colorado and graduated from the University of Florida College of Veterinary Medicine in 1999. He completed an internship at Las Colinas Veterinary Hospital in Texas, a referral hospital specializing in surgery and lameness. In 2000 he moved to Miami and was employed by Tiegland, Franklin, Brokken, PA, a large racetrack practice servicing Hialeah Park, Gulfstream Park, Calder Racecourse, Delaware Park, etc. 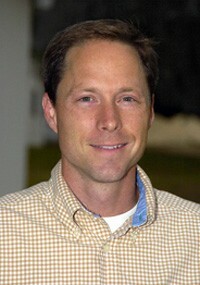 In February of 2003, Patrick moved to Ocala and joined the Equine Medical Center of Ocala. Dr. Worden is an ambulatory associate and deals with mostly training horses and sale horses.